Wind is a form of solar energy. Winds are caused by the uneven heating of the atmosphere by the sun, the irregularities of the earth's surface, and rotation of the earth. Wind flow patterns are modified by the earth's terrain, bodies of water, and vegetative cover. This wind flow, or motion energy, when "harvested" by modern wind turbines, can be used to generate electricity. Hawa Akkar S.A.L. was founded in November 12, 2010 and incorporated in the Register of Commerce under R.C. 2022979.In spite the registration date relates to 2010, the effective business in Hawa Akkar started in 2008, when an experienced and qualified team elaborated a study on the movements of air and wind currents in Lebanon. 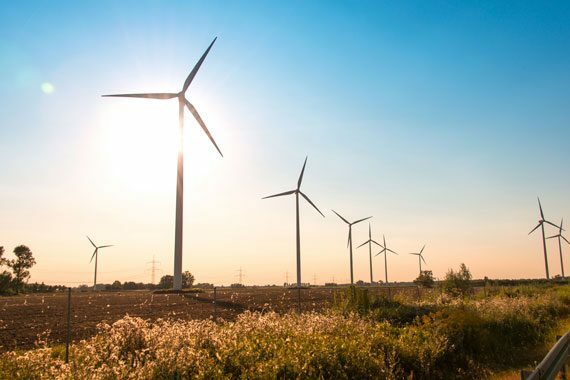 They found that the most important areas to establish wind farm are concentrated in Akkar, namely in the mountains chain ending in Bekaiya plain, which is the principal passage of air between the Syrian land and Bekaa plain from one side and the Mediterranean Sea from the other side. We at Arina Energy are proud to be part of an industry that has changed the way we care about our planet.